Love is in the air…but not even the spirit of romance could have saved our favourite celebrities from committing some major crimes of fashion during their weddings. 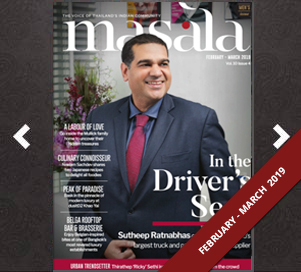 Join Masala as we recap all of the hits and misses from some of Bollywood’s most newsworthy nuptials. 1. Ranveer Singh has cemented himself as a rebel with a closet thanks to his quirky sartorial selections. 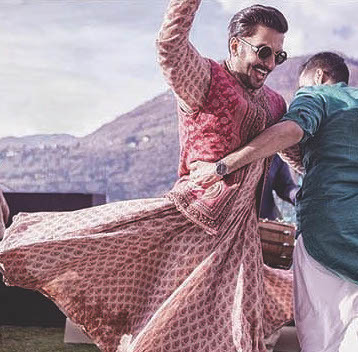 So it was no surprise that he opted for a pink paisley print anarkali-kurta fusion creation by Sabyasachi for his mehndi. This ethnic ensemble showed off his bold style and knack for pulling off gender-fluid silhouettes. The addition of a traditional cropped jacket and gold rimmed sunglasses added an extra dash of whimsy. 2. 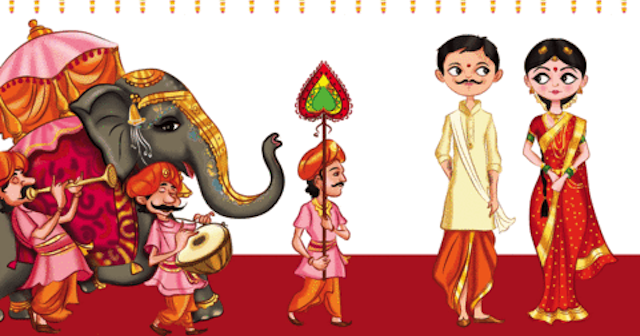 Deepika Padukone stole everyone’s attention on social media when her wedding looks were revealed, particularly her intricate Sindhi ceremony ensemble, which was a traditional crimson and gold lehenga by Sabyasachi. Like a true Punjabi bride, she chose to accessorise with a striking maang tikka, a statement necklace and stacks of bracelets and rings. But despite her heavy ornaments, she managed to look as radiant as ever. 3. During her wedding festivities, Priyanka Chopra Jonas donned many glamorous outfits (one too many if you ask me). But it was the ivory and beige crystal-beaded lehenga by Falguni Shane Peacock for her Delhi reception that reigned supreme. The fabric’s silver details gave off a wonderful sparkle, but all eyes were on the triple-tiered diamond necklace from Khanna Jewellers that really made her shine. 4. 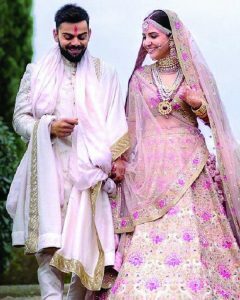 Anushka Sharma’s wedding lehenga by Sabyasachi was perfect in every sense of the word. Not only did the outfit complement the wedding’s stunning Tuscan setting, but its pastel hues combined with her minimal makeup really enhanced the starlet’s natural beauty. A refreshing change from brides who lose sight of themselves by overdoing their hair and makeup on their big day. 1. When I say I adore #DeepVeer as much as the next person, I wholeheartedly mean it! But when the newlyweds entered their Mumbai after party…they looked crazy, even by Ranveer’s standards. The groom donned an outlandish outfit by Manish Arora, complete with embellished glow-in-the-dark hearts and detachable shoulder features that shot out laser beams. He also channelled his villain persona Alauddin Khilji from Padmaavat (2018) with his heavily lined eyes, which are best left for the silver screen. 2. 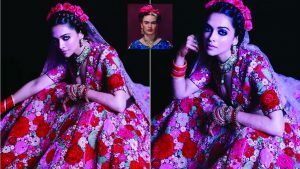 Similarly, Deepika Padukone took it too far in a heavily embroidered floral Dil Guldasta lehenga by Sabyasachi. She styled the outfit with a headpiece of wild roses and dramatic makeup, creating an avatar that resembled “Frida Kahlo on acid” (these are actually Ranveer’s words, not mine!). Overall, both looks were playful but overdone, so we hope they stick to looking like themselves from here on out. 3. 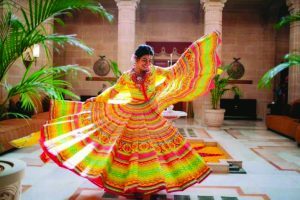 It has been a long-running bridal trend to wear vibrant colours for a mehndi function, but Priyanka Chopra Jonas took it one step too far. The starlet wore a bold striped Abu Jani Sandeep Khosla ensemble that screamed ‘Mariachi performer’ rather than Bollywood-bride-to-be. All you need to do is add some maracas and a sombrero and she’s all set for a fiesta, olé! 4. Remember when Anushka Sharma walked into her Delhi reception looking like an ageing mother of the bride? The talented actor, who is known for her vibrant personality, looked as flat as her hairstyle in this red banarasi sari by Sabyasachi. Not only does the outfit drown her in too many layers of silk, but her neck did a disappearing act thanks to a gigantic jewellery set that just adds insult to injury. We want better!